As Father’s Day approaches you might be wondering what gift to get that special man in your life. Most men have a favorite chair that they like to kick back and relax in. Men enjoy something that is no fuss, comfortable and durable, like a recliner or lounger that can hold up to an active game of football watching or just taking a long nap. If you have been wondering what to get for that special guy in your life wonder no more, now is the time to get him his new favorite chair. Although you might think of Deep Seating Chairs, Bar Stools or Fire Pit Chairs when you think about Stone Furniture, it is time to think again. Stone 2 Furniture builds an array of recliners and loungers that offer durability and comfort that is built to last and provide hours of enjoyment. The recliners and loungers are at home at the side of the pool or on a patio. They can be placed anywhere your guy wants a place to relax and get away from the hustle and bustle. The loungers and recliners are designed by Dwayne to be comfortable, contour to the body and provide a little respite. When the lounger or recliner has been sitting in the sun it provides deep penetrating warmth and will melt away stress. It is like having a hot rock treatment right in your own back yard. The man in your life deserves a break and Stone Furniture offers just that. Because it is practically maintenance free he can relax in comfort without the need to maintain his favorite recliner or lounger. Once it is set, the only thing left to do is relax. It will not blow away, chip or crack and there is no need for any special maintenance or to think about needing to store the furniture. It will stay right where it is put, be ready at a moment’s notice and provide years of comfort and joy. 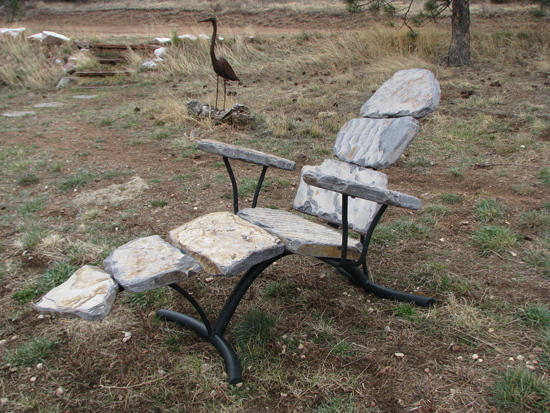 Stone 2 Furniture can design a lounger or recliner that will be unique and special just like the man in your life. Forget the ties and socks this year for Father’s Day: this year provide the gift that will keep on giving for years to come. Call to get a gift certificate to give your guy on Father’s Day.